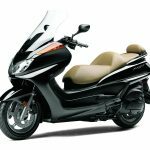 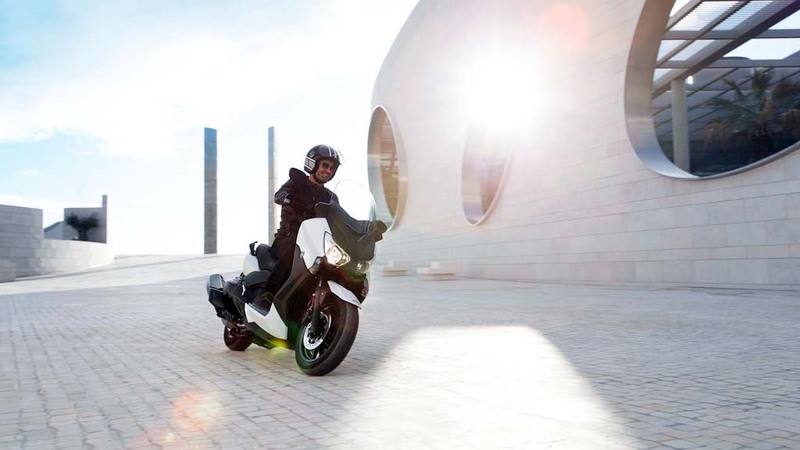 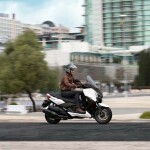 Yamaha revealed a maxi-scooter for the European market. 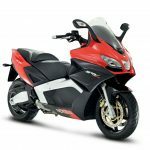 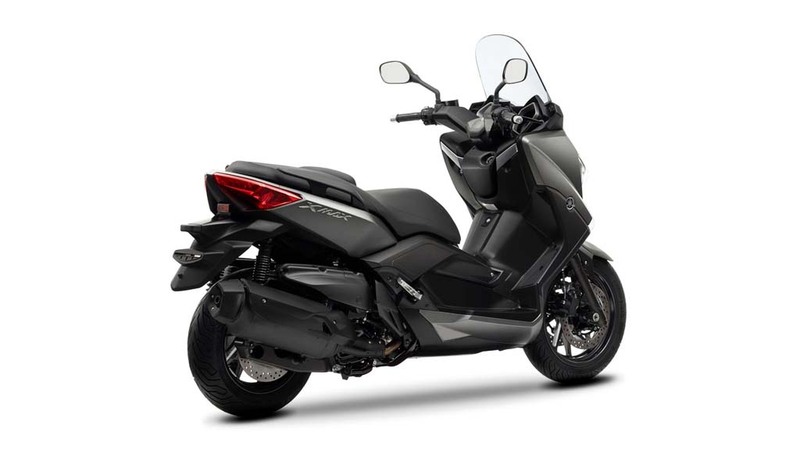 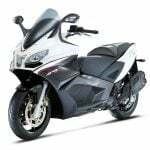 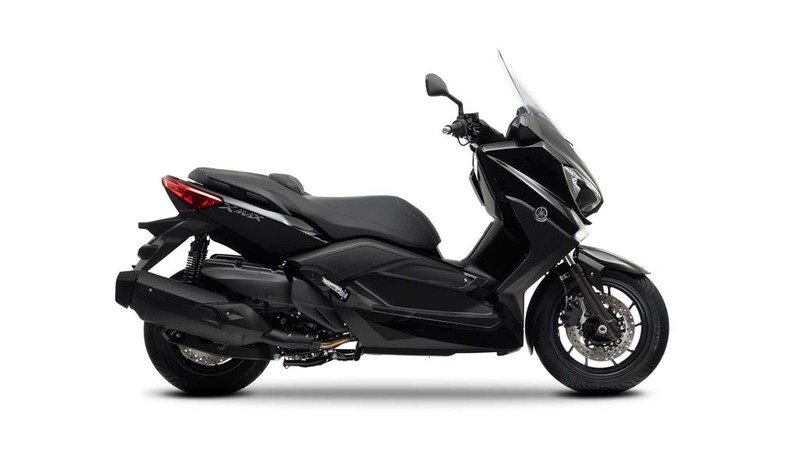 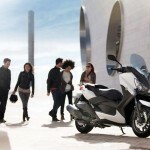 The new 2013 Yamaha X-Max 400 is the latest model from the X-Max family which is also available in 250cc and 125cc configurations. 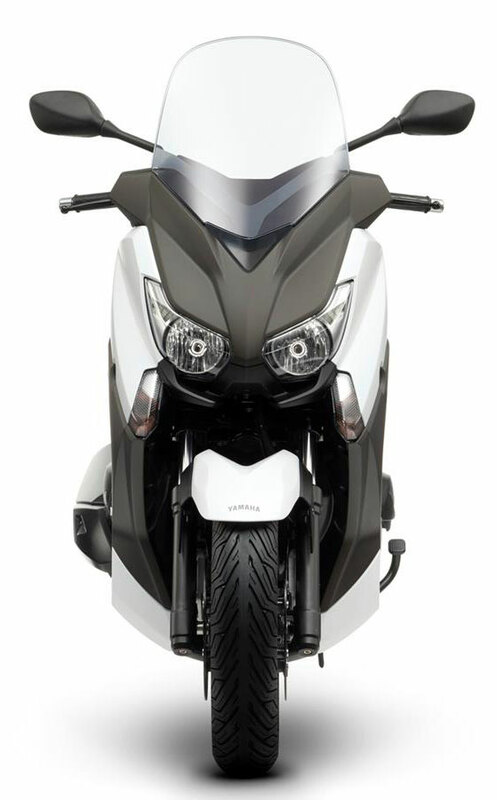 The new model uses the 395cc engine from the Yamaha Majesty. 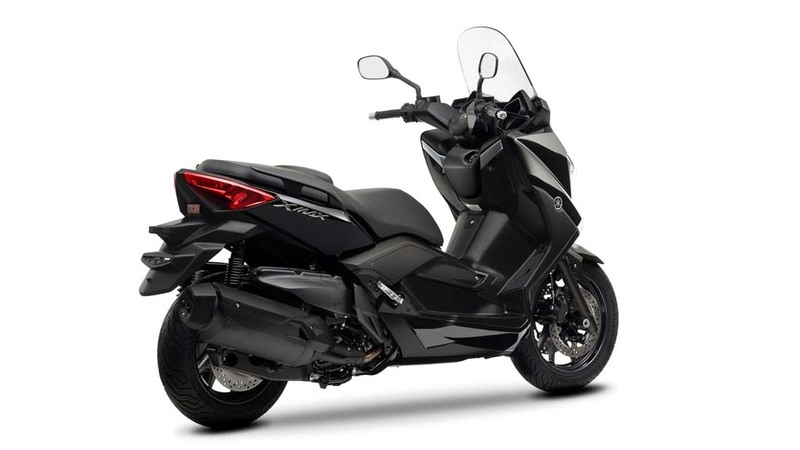 The liquid-cooled single-cylinder engine has been tweaked a bit however, with Yamaha claiming an output of 31 hp at 7500 rpm and 25 ft-lb. 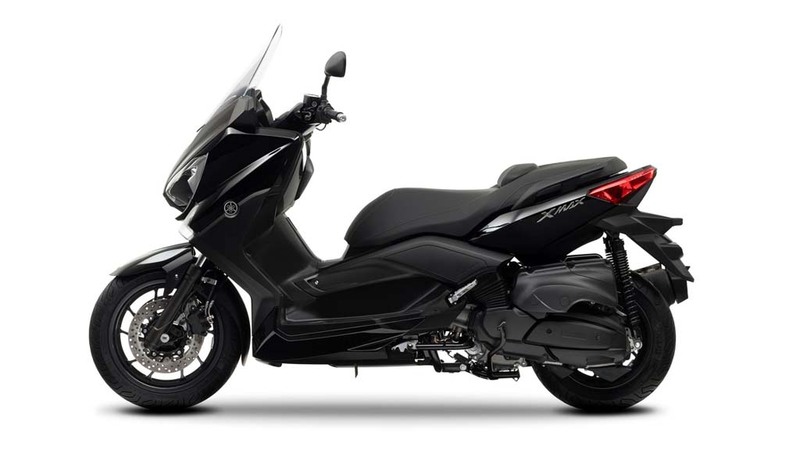 at 6000 rpm, both down from the claims of 33 hp at 7000 rpm and 27 ft-lb. 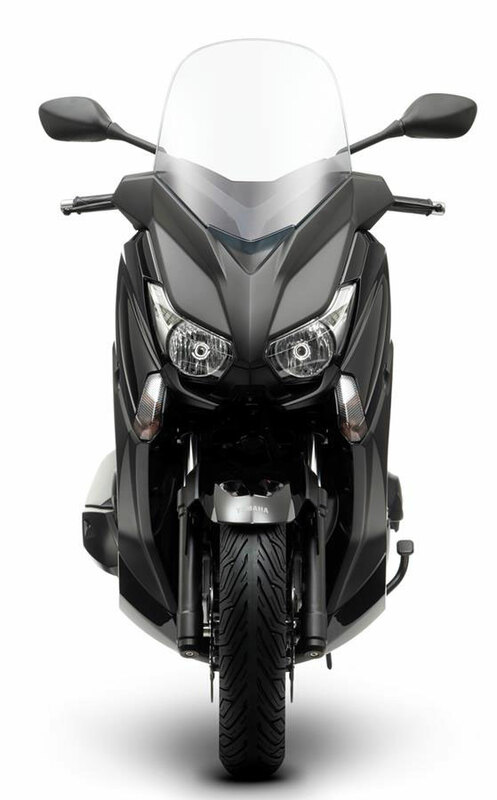 at 6000 rpm for the Majesty. 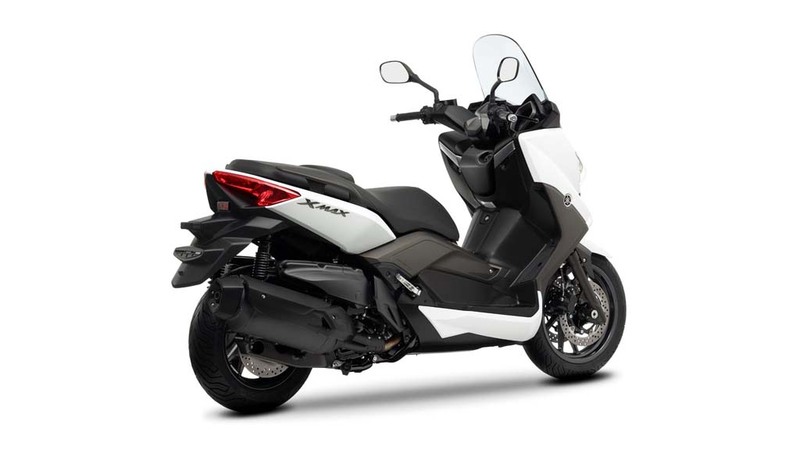 Where the X-Max trumps the Majesty is its lighter weight and bigger front wheel. 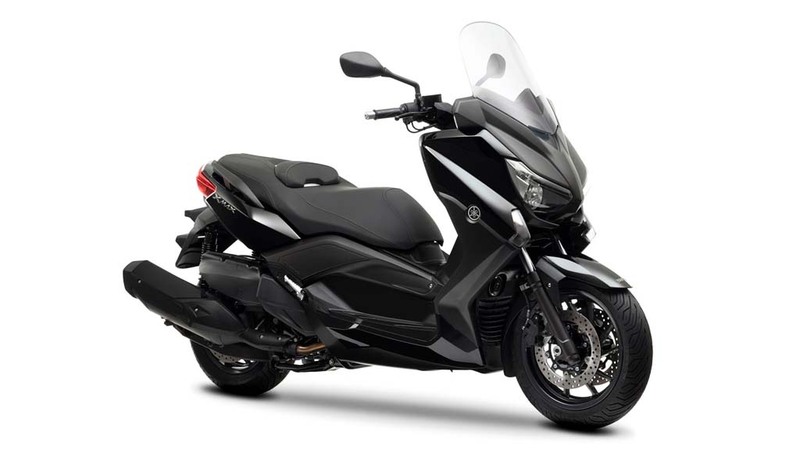 Yamaha claims a wet weight of 465 pounds for the X-Max 400 compared to 485 pounds for the Majesty. 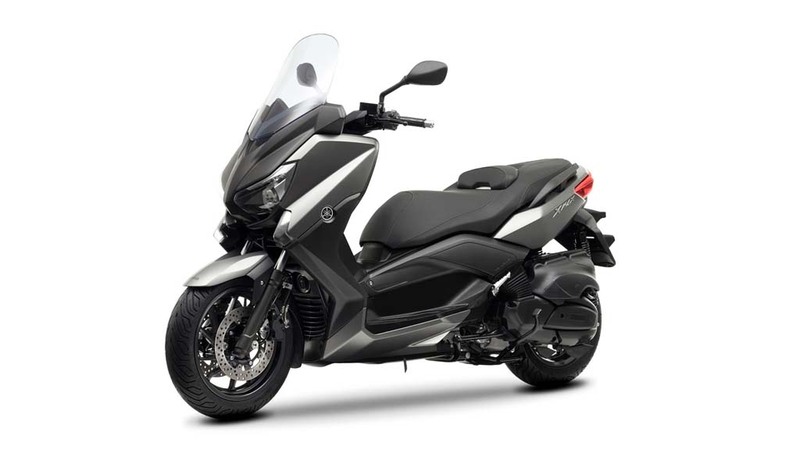 The lighter weight can be attributed in part to the new chassis which Yamaha says is the lightest and most compact in its class. 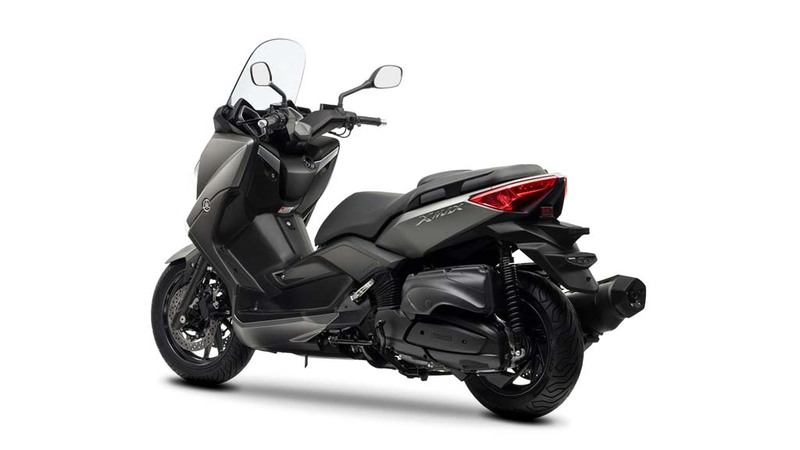 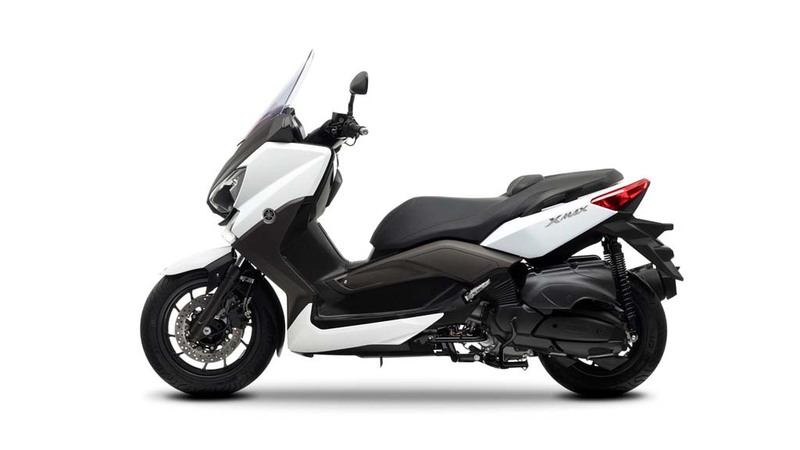 Both scooters have 13-inch wheels at the rear, but the X-Max 400 uses a 15-inch front wheel compared to the 14-inch rim on the Majesty, as well as its main competitors such as the Suzuki Burgman 400. 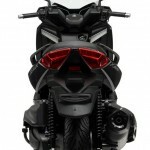 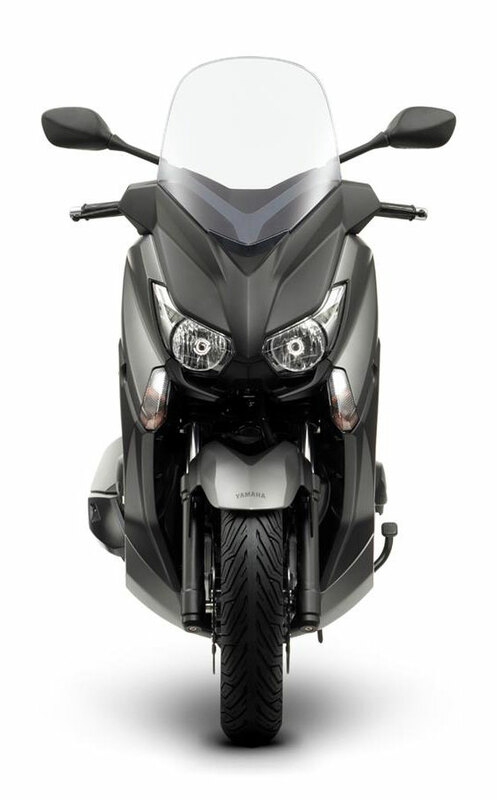 The tall fairing and windscreen should provide good wind protection for both rider and passenger. 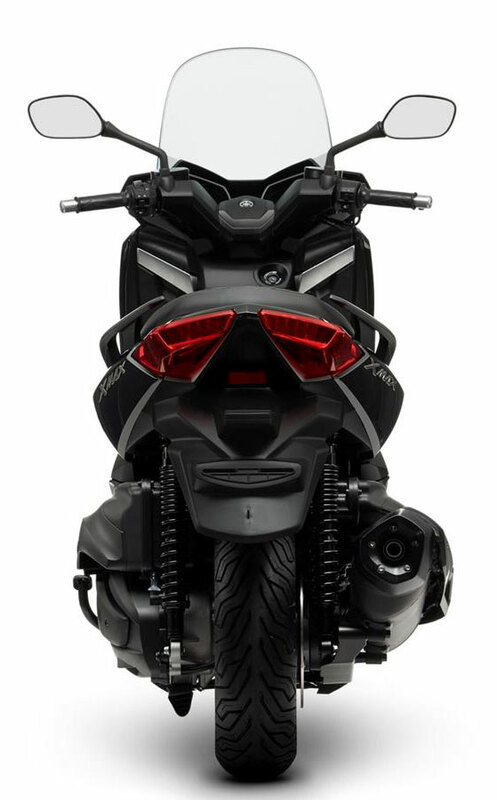 The dual seat lifts up to reveal a storage area Yamaha claims will hold two full-faced helmets. 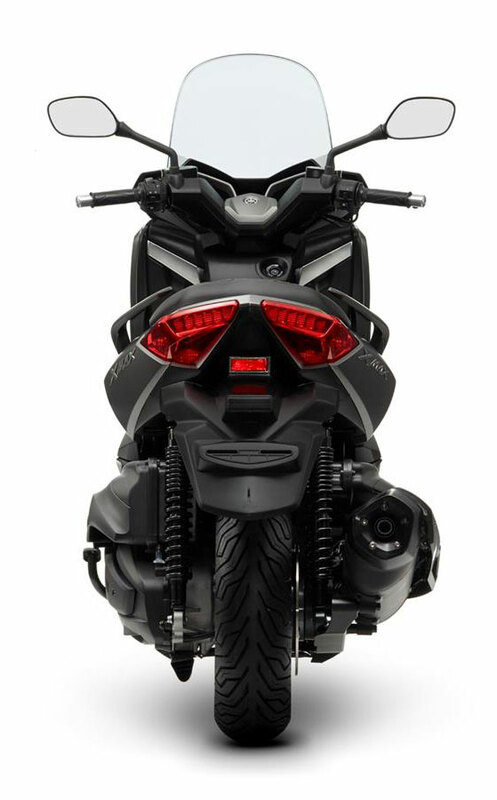 The fairing also holds two smaller enclosed compartments for added storage. 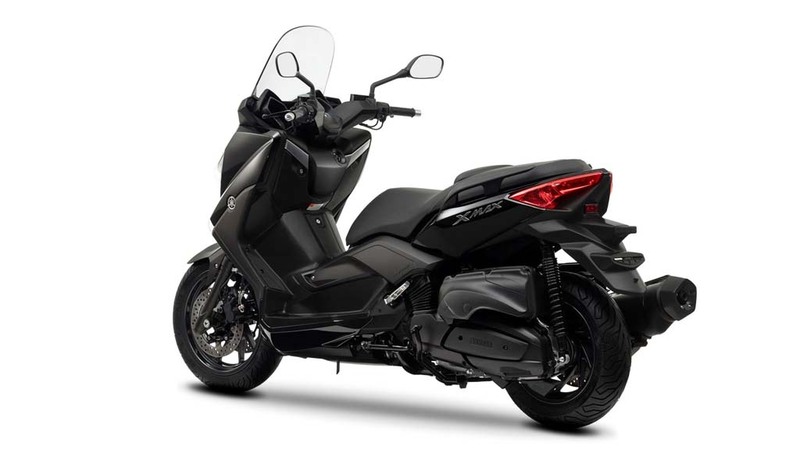 Other features include LED lighting both front and rear, dual front brake discs, 3.7-gallon fuel tank, telescopic fork and dual-spring rear suspension. 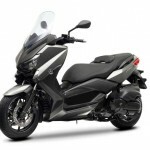 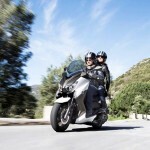 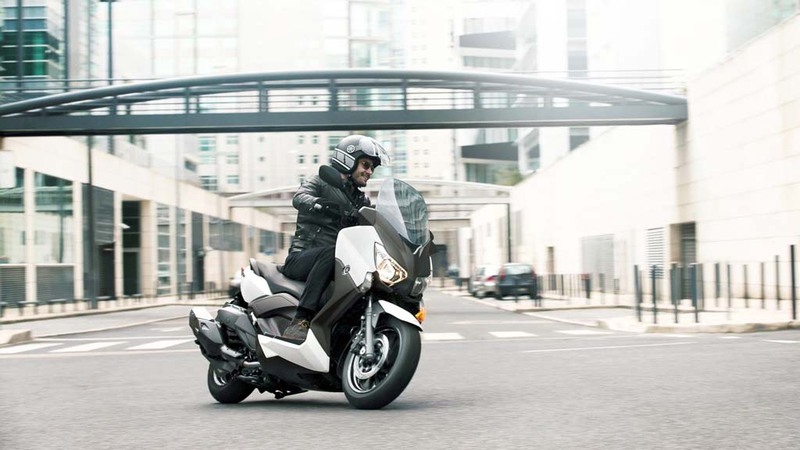 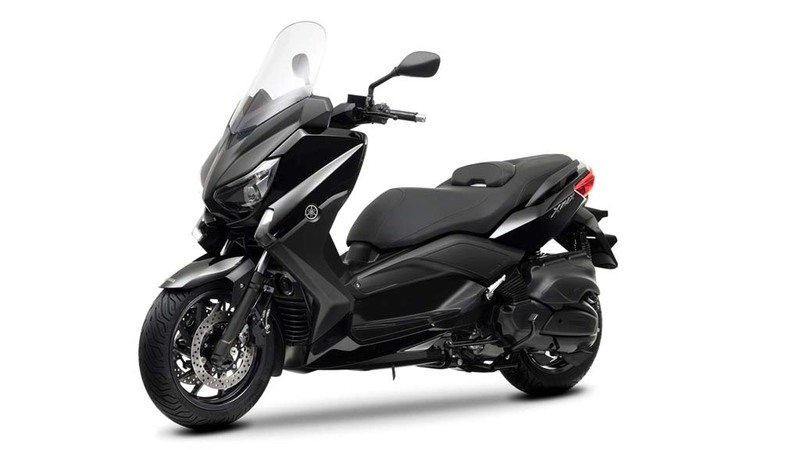 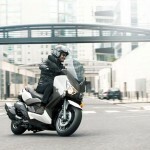 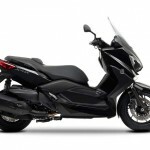 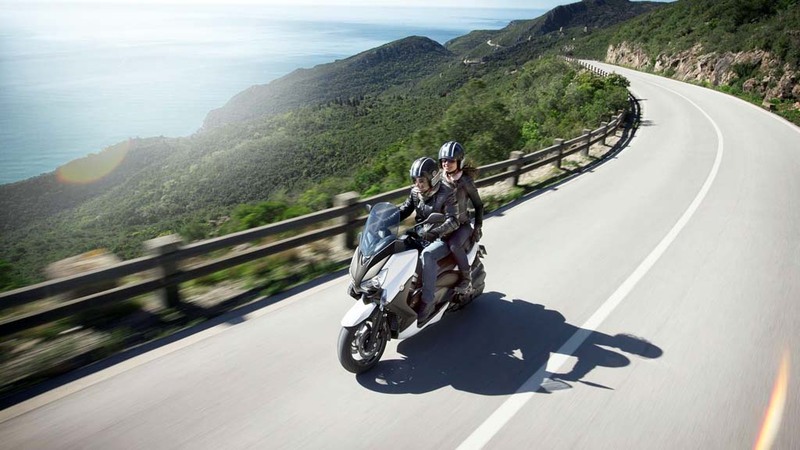 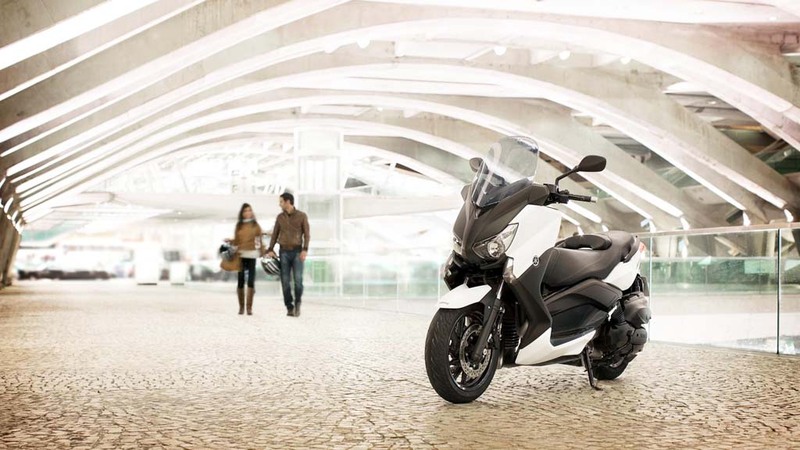 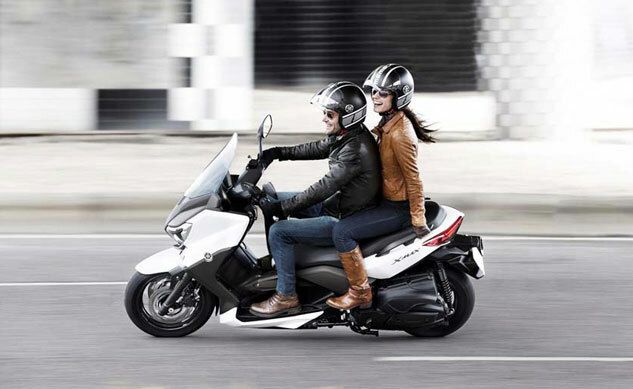 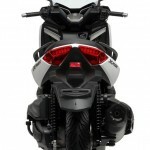 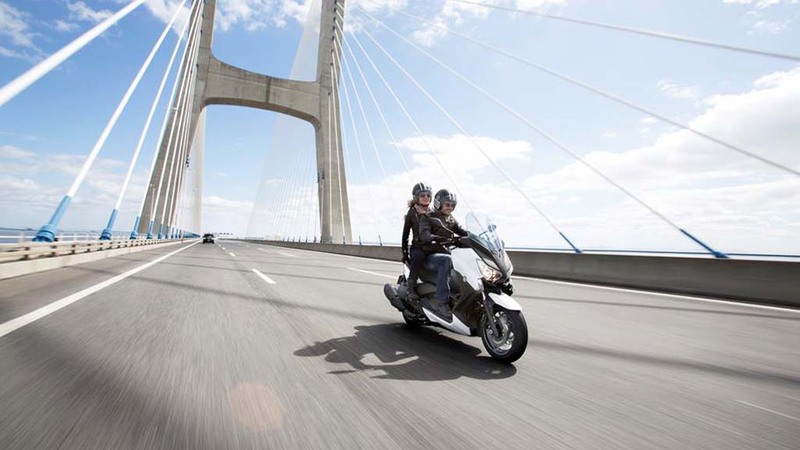 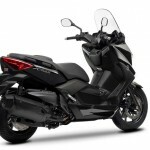 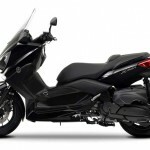 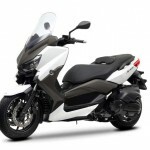 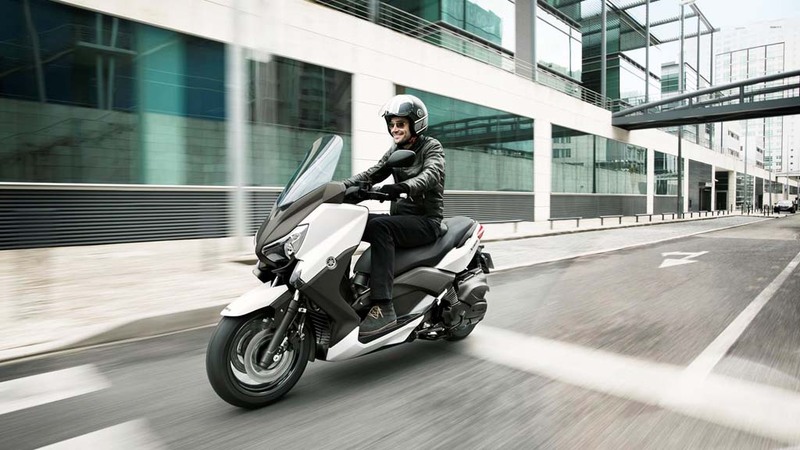 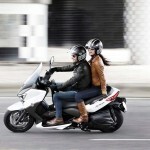 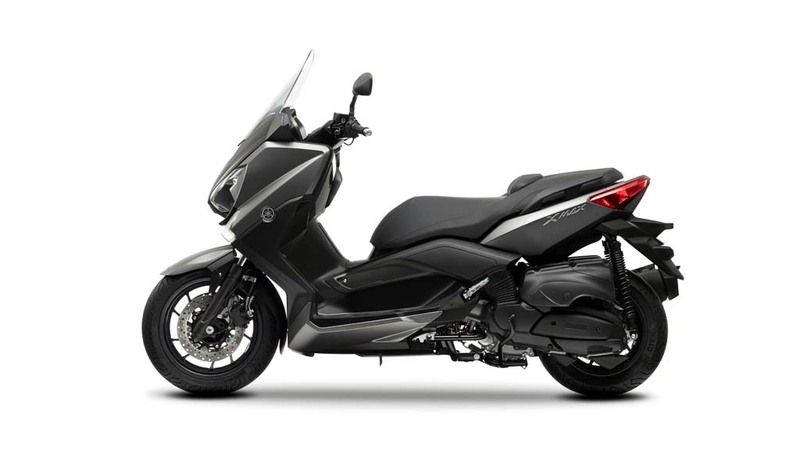 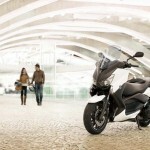 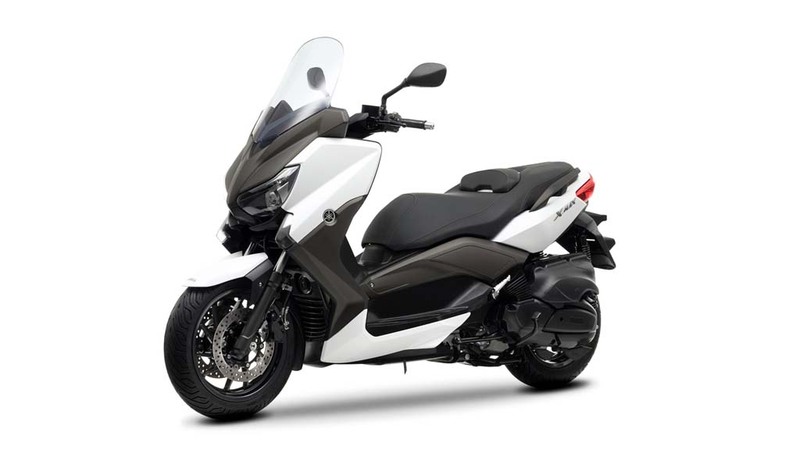 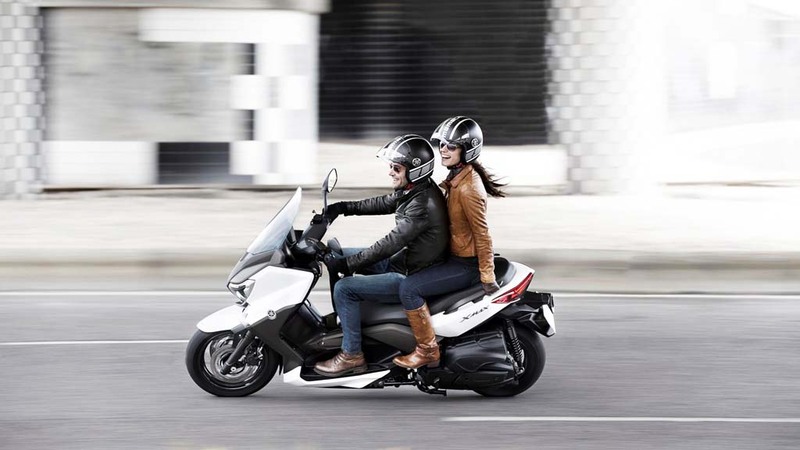 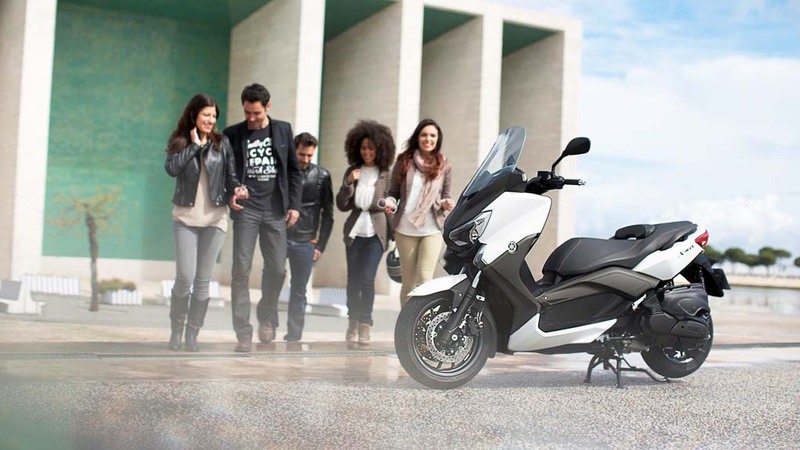 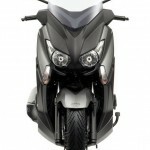 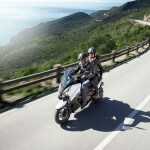 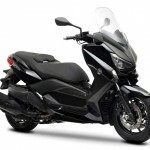 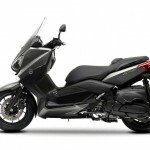 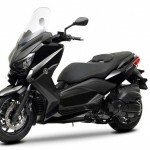 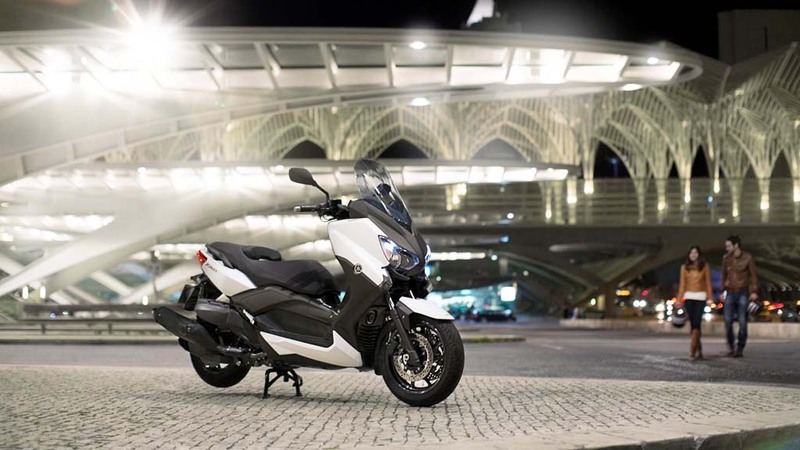 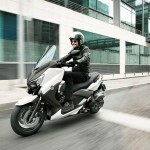 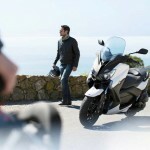 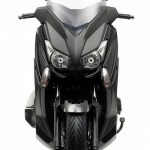 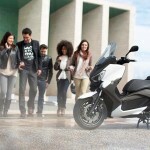 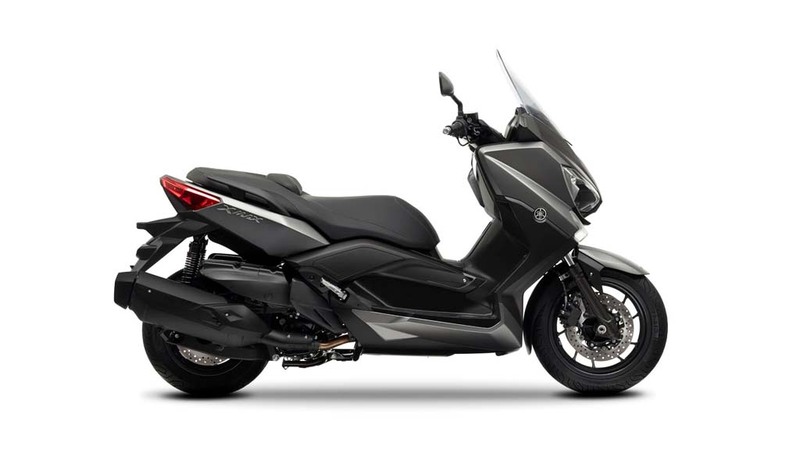 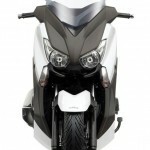 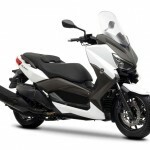 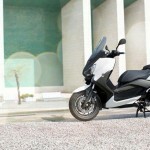 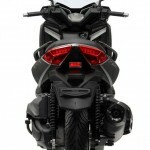 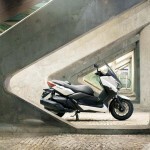 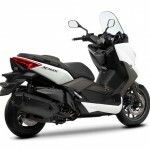 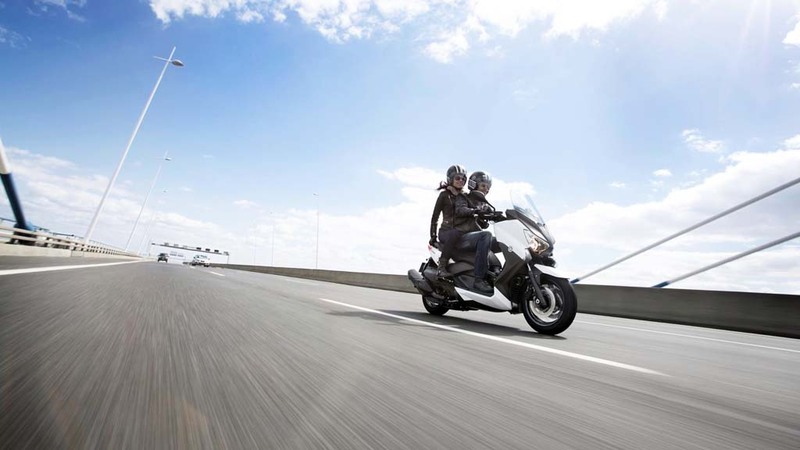 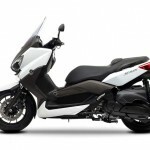 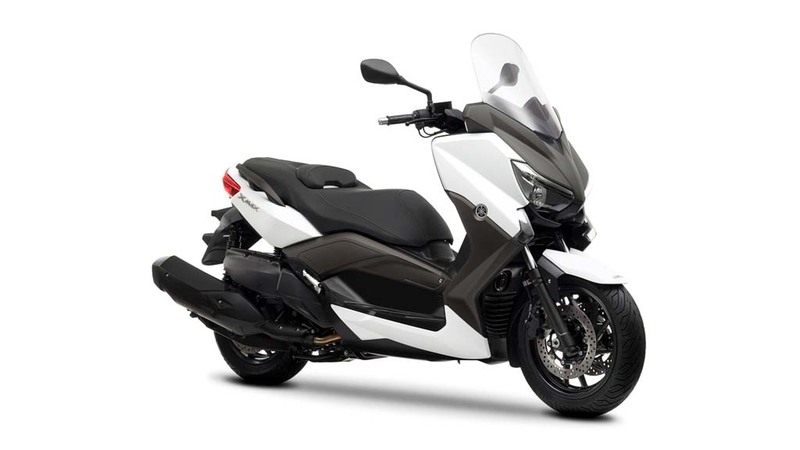 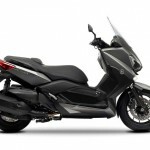 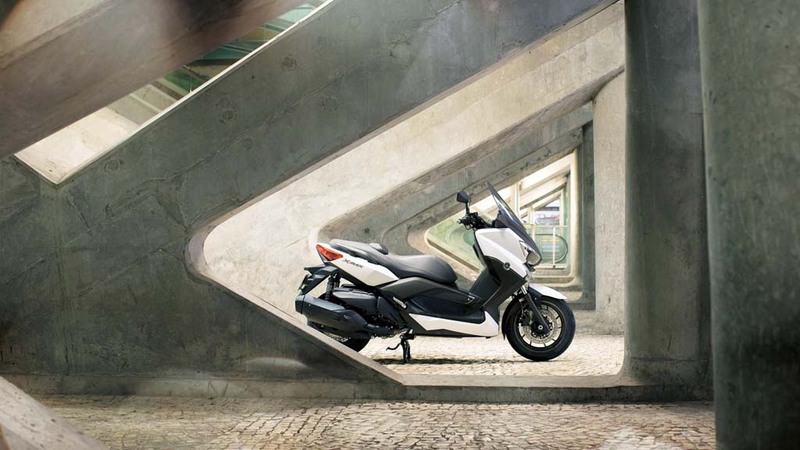 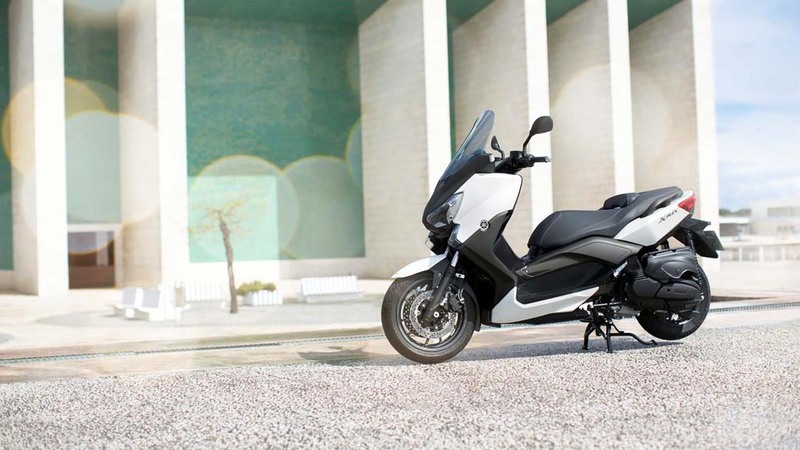 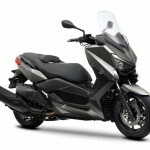 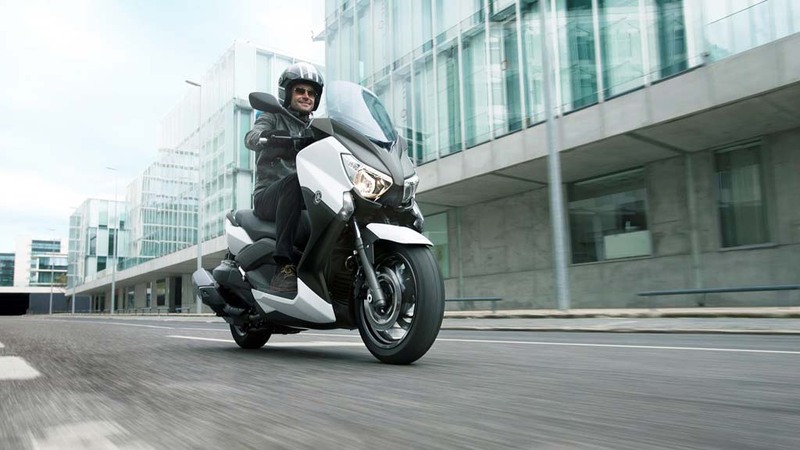 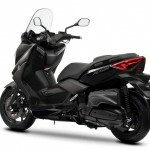 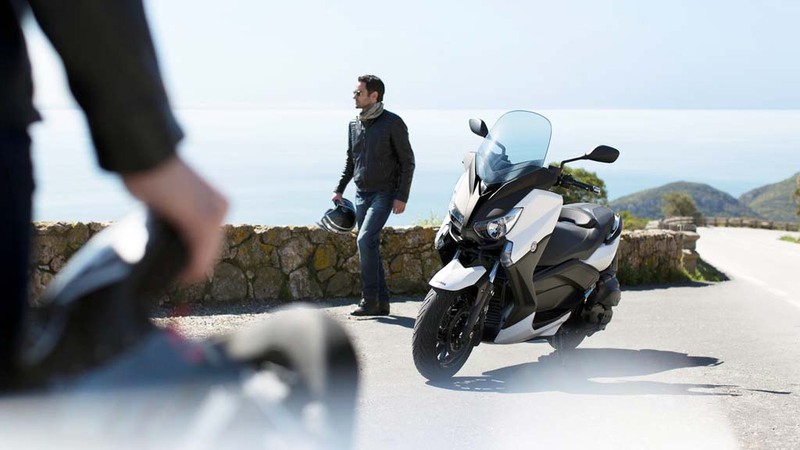 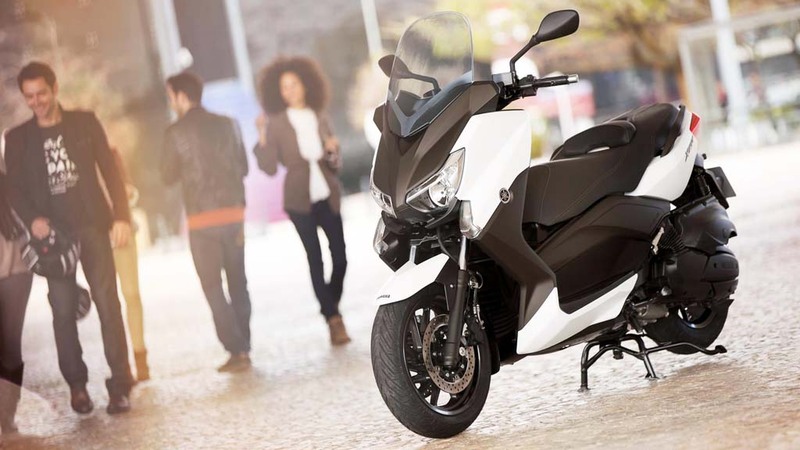 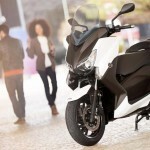 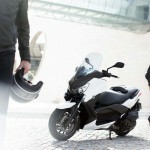 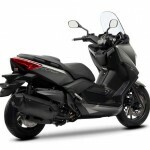 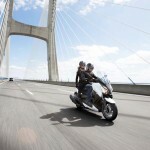 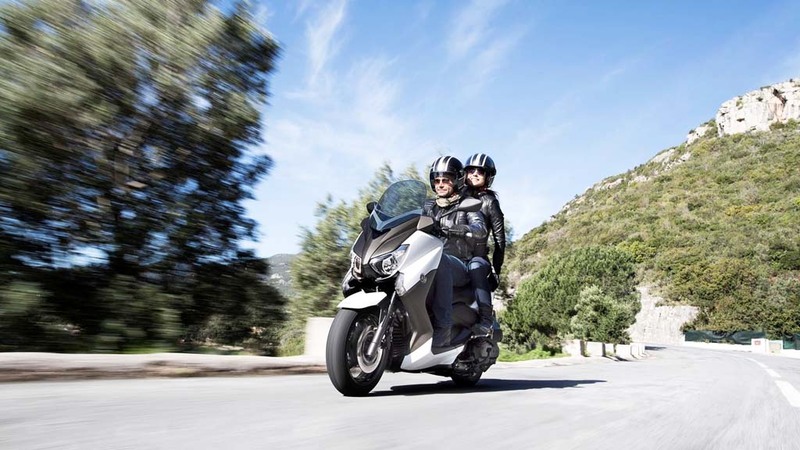 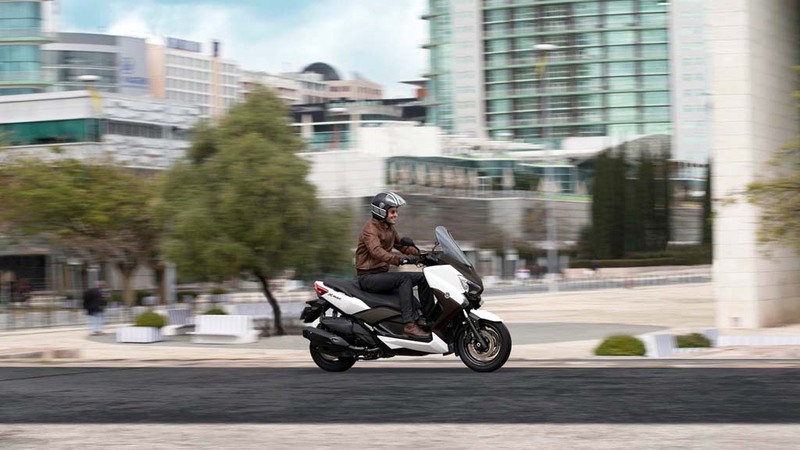 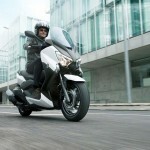 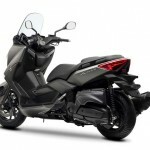 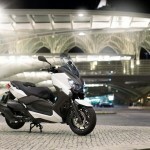 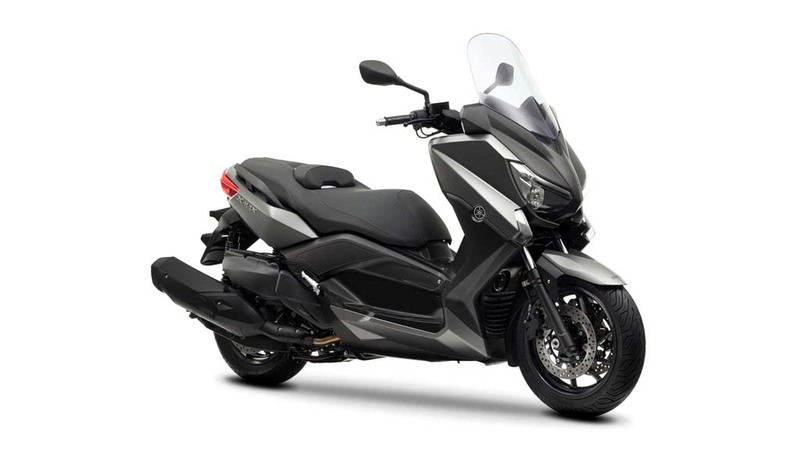 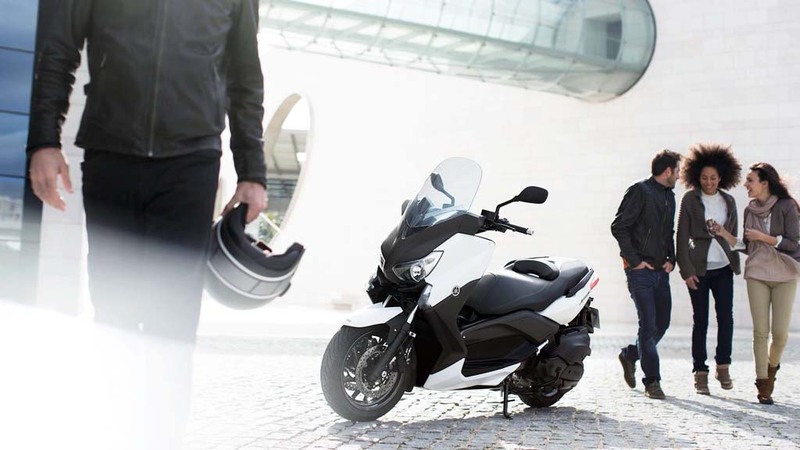 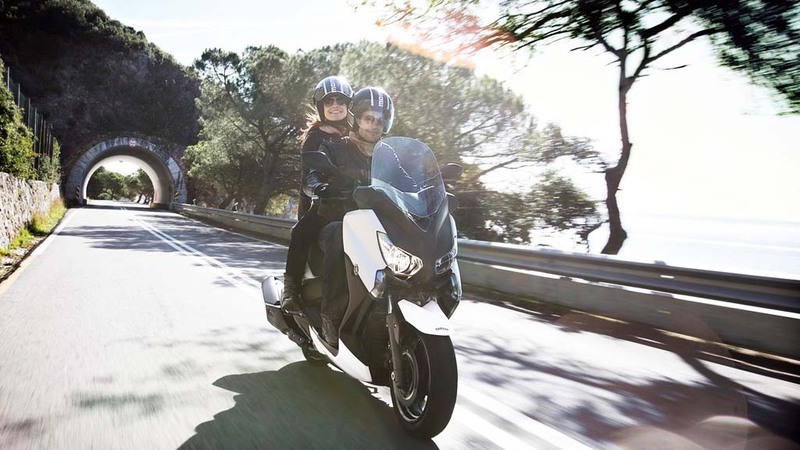 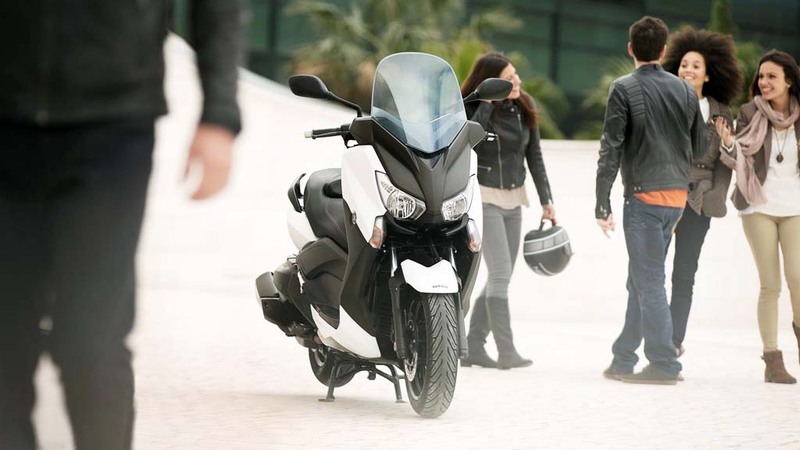 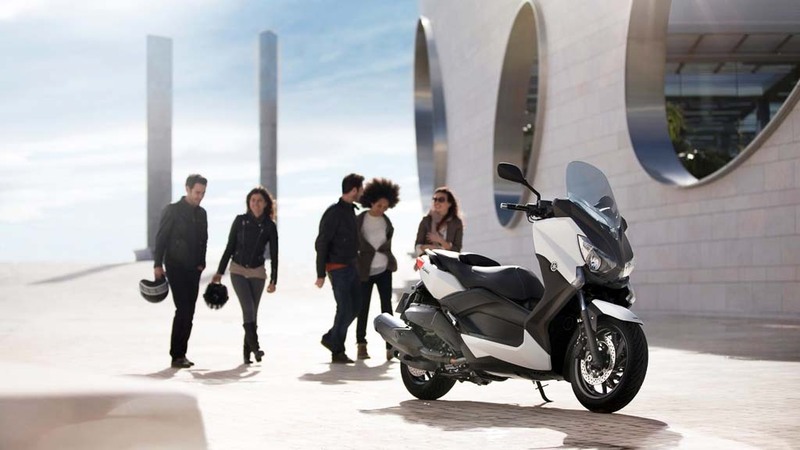 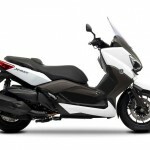 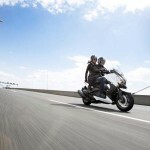 The 2013 Yamaha X-Max 400 will arrive in European showrooms in May in Absolute White, Matt Gray and Midnight Black. 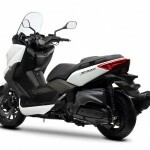 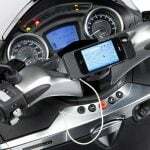 An ABS-equipped version is expected to follow later this year. 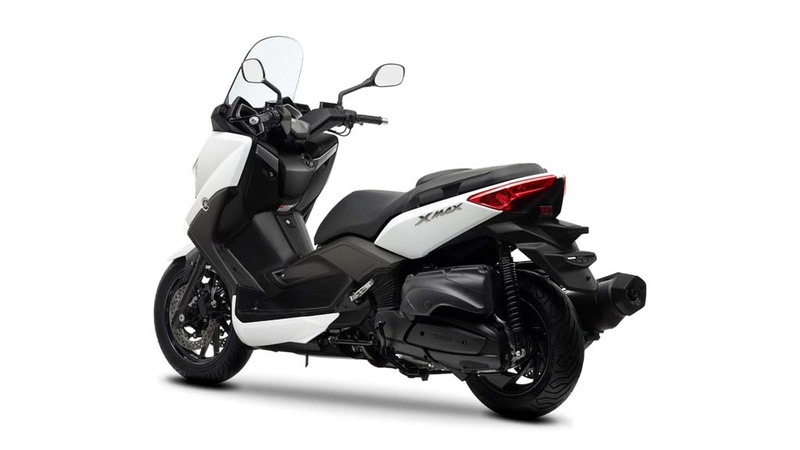 Yamaha Motor U.K. is pricing the X-Max 400 at £5399 (US$8301), making it considerably less expensive than the £6,399 Majesty. 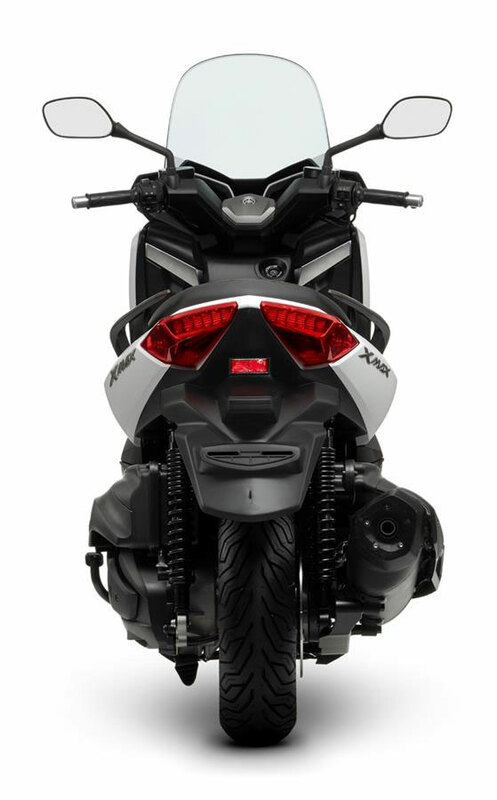 There is no word on North American availability, though it’s possible the X-Max 400 will replace the Majesty in 2014.